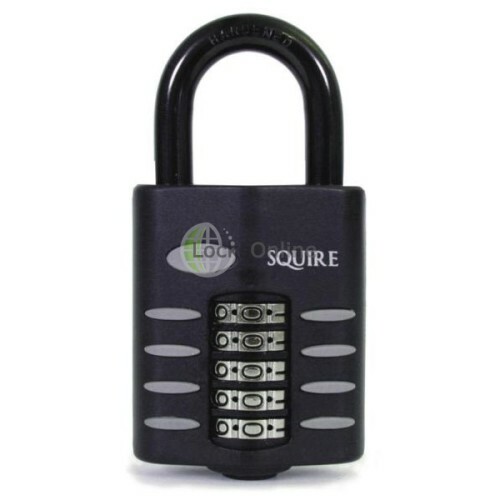 This is the CP60 version of the CP-Series combination padlocks from Squire. 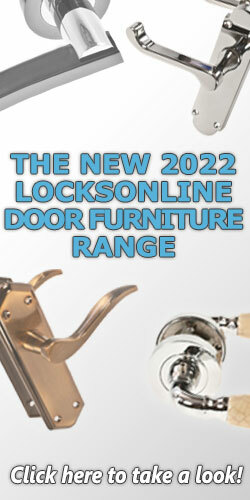 The CP quite literally stands for Combination Padlock, whilst the 60 refers to the padlock body size which is approximately 60mm on these models. These are designed for heavy duty application, and are suited to exposed environments; so providing proper maintenance is given, these should last a long time in harsh conditions. Hi guys, my name is Darrel and I'm head of the tech team here at LocksOnline. 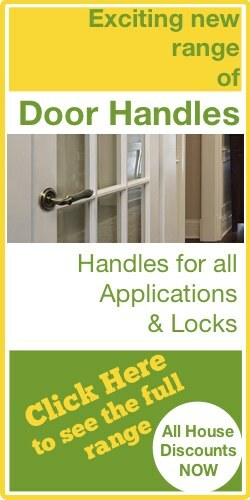 Thanks for taking some time to tune in and watch one of our product review videos. Now we're putting together these short little videos to be able to give you, our customers, the opportunity to see the products that we have to offer. And hopefully in a little bit more detail in the flesh so to speak and hopefully help you make a bit better of an informed decision as to whether or not this is the particular product that you're looking for. 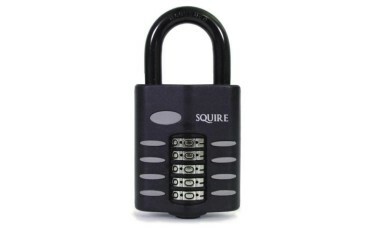 Now today, I want to show you a Squire Combination padlock, they call it the CP Series. This is the actual combination padlock here. They claim it's designed for relatively harsh environments etcetera. So that's a really good thumbs up with regards to its usability. Now they come in three different variants. This is the standard shackle, probably the most popular. Then they do a longer shackle which is a bit longer and the measurements are on our website. And then they do one that we call in the trade, a close shackle. In other words there's a shroud on either side to limit the brute force attack on the actual shackle itself. Now as you can see, you've got the ability to be able to dial in a code here. The manufacturer's preset code is the four zeros, as you can see there. So as it's now set there like that, if I simply press this button up the back underneath the unit there, the actual shackle opens and that's basically how it all works. And then you can then close that back in, press one of those dials or whatever, rotate the dials or whatever and of course, it won't open now. So if I dial that back to zero and pop that open, it also comes with a change key here. And this is the actual change key itself. Now the idea is, is that when it's in the open state, you can change the combination by inserting this in between the digit dials. You can see that there's a small little hole there and if I push that in there like that, push it down relatively firmly and rotate the number over, now I've got a one there. It is quite stiff to turn, so don't feel too intimidated. It's quite robust in regards to its wanting to turn. So if I then move that one to say, 9 there now the code now is 0091. So if I was to pop that one back in there like that, and rotate the dials like that, and of course now, it's not going to open. And if I go 009 and we get the 9 there, 91 okay, and now I'm able to open it up again. And of course you can now change the code again to whatever you want. So, absolutely fantastic device. It has these rubber bumpers and so forth on it which obviously protects the gate or bike or whichever you plan on using this, perhaps the shed door or something like that. And of course, then it isn't going to damage either the padlock or the actual paint on the surface that this is actually being fitted to. So there you go guys, just one of the products, and what I'll do very, very quickly. Is I'll get some quick little measurements on it, just to give you an idea of how you measure these particular types of padlocks. So the shackle diameter itself there is about 8 millimetres. Now the horizontal clearance, this is what we call the horizontal clearance, that's the actual horizontal clearance there of about 22 millimetres. And then the vertical clearance then is that, that measurement there and that there is about 26 millimetres. 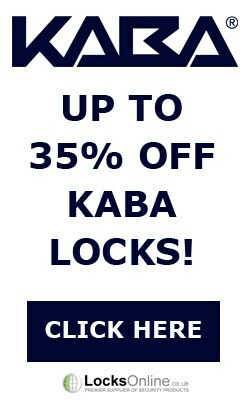 So that gives you an idea of the, how to measure this particular type of padlock. And the actual padlock case width there, is 47 millimetres there, probably call it a 50 millimetre padlock in the variant of it. So there you go. It comes with this change key as well and of course it's available on our website. 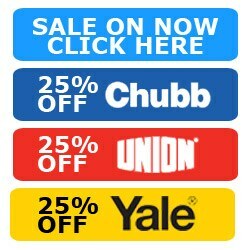 But if you need a bit more information on this or any of the products that we have there, pop us over an email and use the live chat that we have. Or simply do it the old-fashion way and pick up the phone and give us a call. Either way we'd love to hear from you, and more importantly we'd love to see you as a one of our customers. So from me Darrel and all of us at the team, thanks for taking the time to tune in and I hope to catch up with you real soon now. Take care. Bye-bye.